Lance doped. Jodie’s gay. Our transportation finances are a big, ugly mess. This has been a week for blindingly obvious revelations. For years, it’s been “Groundhog Day” around here. Smart people have repeatedly analyzed our roads, buses, and trains and come to the same conclusions: Our system is in such disrepair, with such enormous debt, that we can’t stop it falling apart without more money. The governor and transit officials have pushed for revenue increases, as they did this week. Jumpy legislators have spotted their own shadows and run away. This time, however, things might be different. Business bigs have now joined the call for new revenue. Thousands of commuters attended public meetings to oppose fare increases and call for more equitable funding solutions. Legislative leaders — including House Speaker Bob DeLeo, hitherto allergic to all talk of revenue increases — have called fixing the system’s woes a priority. And whoa, what woes. 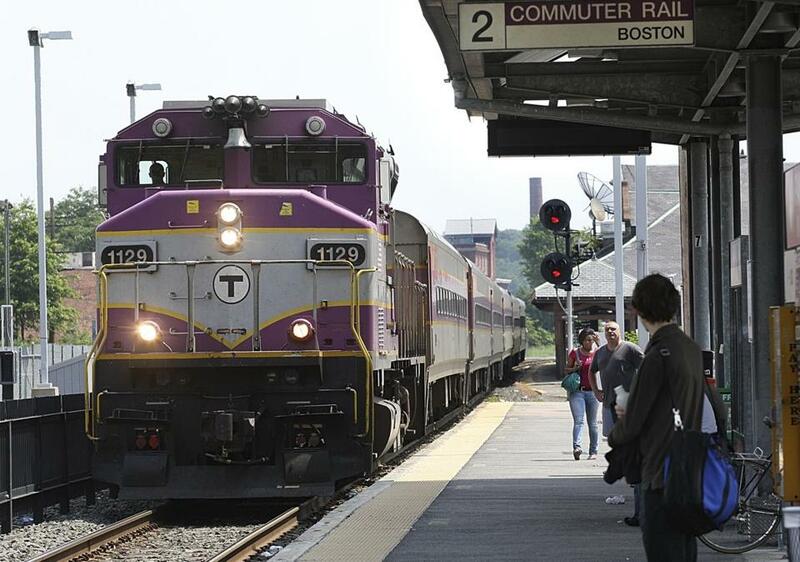 The T, saddled with $8.9 billion in debt (much of it from the Big Dig), faces a deficit next year of $140 million. No amount of pension reform can plug that. It’s even worse at the Highway Department, where they borrow $240 million a year to pay salaries and mow medians. Every hundred bucks they borrow costs $176. Why don’t they just throw the money on the ground and pave over it? Though the governor proposed a few shiny new projects to make a tax increase easier for voters to swallow, most of the $1 billion a year he asked for this week would go to the boring business of paying for and keeping up things we already have. 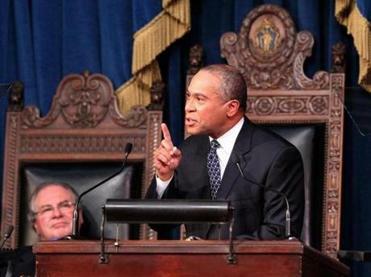 Governor Patrick called on legislators to raise the state ­income tax from 5.25 percent to 6.25 percent while cutting the sales tax from 6.25 percent to 4.5 percent. I’ve advocated before for revenue increases to solve these problems. This always makes me enormously popular. It’s not that I want to pay more in taxes. But given how messed up things are, there isn’t another solution. And it’s better to deal with it sooner rather than later, when it’ll cost even more. I get people’s reluctance to trust state government with more money. We had the Big Dig boondoggles, and we continue to have inexplicable failures in public transit. But things are better than they were. MassDOT has made some reforms, like ratcheting back the crazy deal allowing T workers to retire in their 40s, and bringing them into a cheaper health insurance system. They’ve proposed more. “We’re more accountable,” says Transportation Secretary Rich Davey. This is where, ideally, legislators come in, providing thoughtful oversight and not, as so ­often in the past, cut-and-run expediency. They should demand that every dollar of new transportation funds be accounted for publicly. Progress reports on each project should be posted online, as they are in Washington State, so voters can track where money is being spent, and how efficiently. Even then, a tax increase will be a very hard sell: Pollack says raising $1 billion will cost each household $400 more a year on average. That will require some serious push on Beacon Hill and beyond. Ordinarily, I’d be pretty pessimistic about Patrick’s prospects. But hey, it’s a new year. Jodie came out. Lance came clean. Forward!